November is Diabetes Awareness Month. Diabetes is a group of diseases that affect how the body uses blood sugar, also known as glucose. 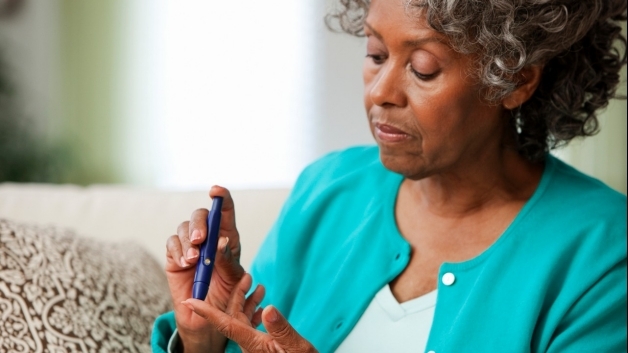 African Americans are greatly affected by Type-2 diabetes. About 13.2 percent of Black people that are 20 or older have diabetes. African Americans are also almost three times more likely to get diabetes than White or Hispanic people. Many organizations have raised awareness about diabetes around campus. Hampton University’s American Pharmacists Association and Academy of Student Pharmacists, or APhA-ASP, has worked with Operation Diabetes to help students learn more information about this disease. Using hashtags and photo challenges, the group created a social media challenge to spread awareness about this issue. “A lot of minorities are in lower income areas and that can hinder accessibility to food that’s healthy. The only food options that are really cheap and available to you aren’t really the healthiest like sodas and fast food,” said Kaia Amoah, a junior biology major from Houston. There are two types of diabetes: Type-1 and Type-2. The most common form of diabetes is Type-2 diabetes. It is also known as “adult-onset diabetes” because it occurs in people lives when they are above the age of 45. About 90 percent of the people diagnosed with diabetes have this type. This type of diabetes happens when the body doesn’t produce enough insulin. Type-1 diabetes is when your pancreas doesn’t make insulin, this type is nicknamed “juvenile diabetes” because mostly teenagers have it. Approximately, 10 percent of people with diabetes have Type-1. There are many warning signs of diabetes. One of them is being hungry and another is feeling constantly tired. If the body doesn’t have enough insulin, it can decrease one’s amount of energy. A person with diabetes also can experience an increased amount of urination. A normal person pees about 5 to 7 times a day, but people who have diabetes go more frequently. The body is supposed to absorb glucose when it passes through kidneys, but diabetes makes one’s blood sugar go up so the body can’t take it all in. It tries to get rid of the extra things by making increasing the amount of urination. This can make a person dehydrated, causing an increase in thirst. Another symptom of diabetes can be having a dry mouth and itchy skin. When a person urinates, it makes the skin very dry, which also makes the skin irritated and itchy. A third symptom of diabetes is blurred vision which, in some cases, can be life threatening. The person’s vision becomes blurred because the fluid levels in the body make the lenses in one’s eyes swell. This process can also change eye shape the ability to focus. In order to decrease the chances of getting diabetes, one should eat healthier and exercise. After being diagnosed with diabetes, one should adhere to a healthier lifestyle and also maintain a positive attitude. Diabetes is a battle that many African Americans have faced throughout the years. However, Hampton University has worked hard to spread awareness about preventing and caring for diabetes.